All the features of the pro studio can be found in the following. Complete color palette generation and editing. Also if you count in numbers, here are statistics. 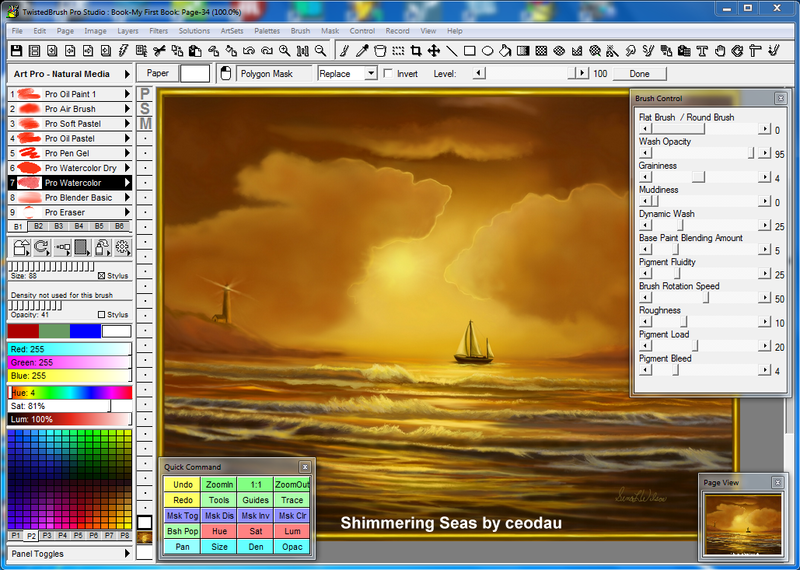 Trial version of TwistedBrush Pro can be downloaded from the following link. To get your trial period for 30 days, you need a free registration. TwistedBrush Pro Studio costs 99 USD which can be purchased using this link. You can get 80%, 70% and 40% discount on the software purchase using coupons UPFOR20NICE, UPNOW272 and CPUPG777 respectively.